Heirloom tomato salad and pasta with lemon sauce. These are all about getting the best ingredients. 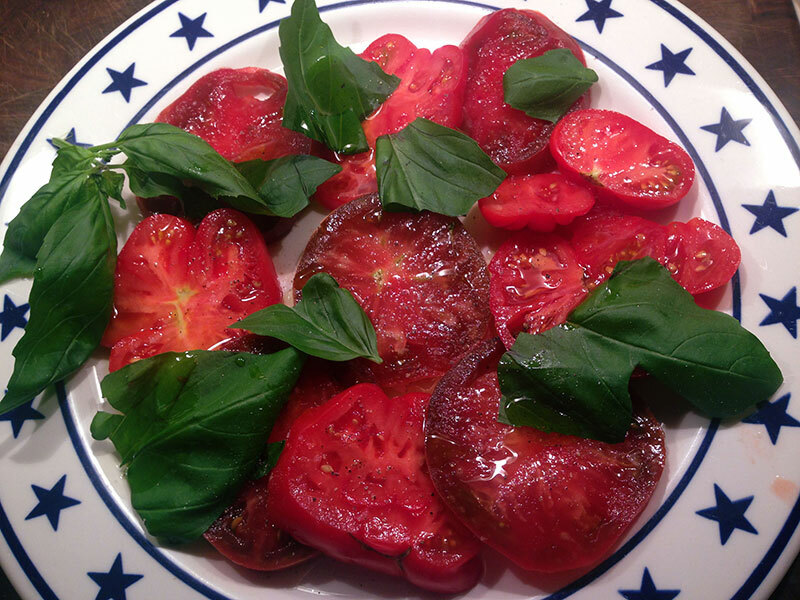 Tomatoes: get tasty, juicy and ripe ones. They’re only available at this time of year and you should be able to smell the tomato scent wafting off the fruit. Slice, arrange and sprinkle with coarse sea salt at least 30 minutes before serving. When ready to eat, grind fresh pepper over them, garnish with torn basil leaves and a drizzle of olive oil.